If you are a business attorney at a corporate law firm, you know that your clients sometimes have IP needs that your firm may not be able to handle. You don’t want to refer your client to a large general practice firm that competes with your corporate practice, and it’s difficult to find a high-quality IP firm that can handle the diverse needs of your clients without causing extreme sticker shock. Kolisch Hartwell can help. As a boutique IP firm, we practice exclusively in the area of intellectual property and therefore do not compete with your corporate practice. Rather, we seek long-term partnerships with corporate firms around the United States. Furthermore, there is no need for you to shop around for new and untested IP counsel every time a different client need arises – for over 60 years, we have maintained the technical depth and diversity to handle IP matters of all types, in virtually every field of technology. 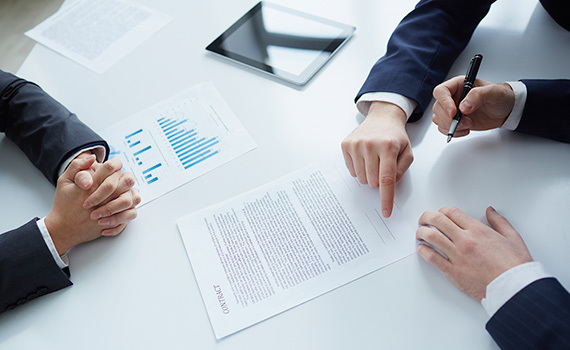 We provide predictability through detailed and accurate cost estimates, confidence that the work will be actively managed and usually performed by an experienced partner-level attorney, and the responsiveness that only a smaller boutique firm can offer. Furthermore, our size and location allow us to provide our services at a far lower cost than large national IP firms.